Bf 109G-6 serial number 19874 emergency landed near Nykøbing Falster 9/10 1943. T/o Marx ? Op: Feindflug. 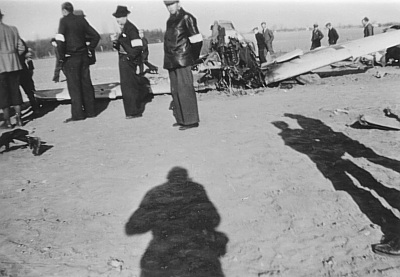 Unteroffizier Karl Heinz Kutzera emergency landed the Bf 109 near Nykøbing Falster due to having been hit by return fire from American bombers at approximately 11:00 hours. 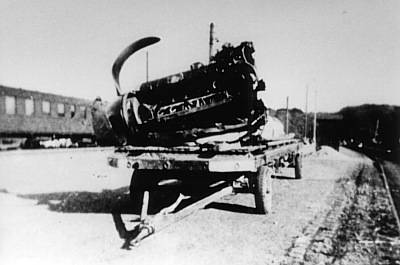 The Bf 109 ended up on the road between Nykøbing Falster and Grønsund approximately 1 kilometre east of Nykøbing. It was 60% damaged and Kutzera was severely wounded and was taken to the hospital in Nykøbing Falster. Sources: RL 2 III/1196, AS 19-213, LBUK, JJ.